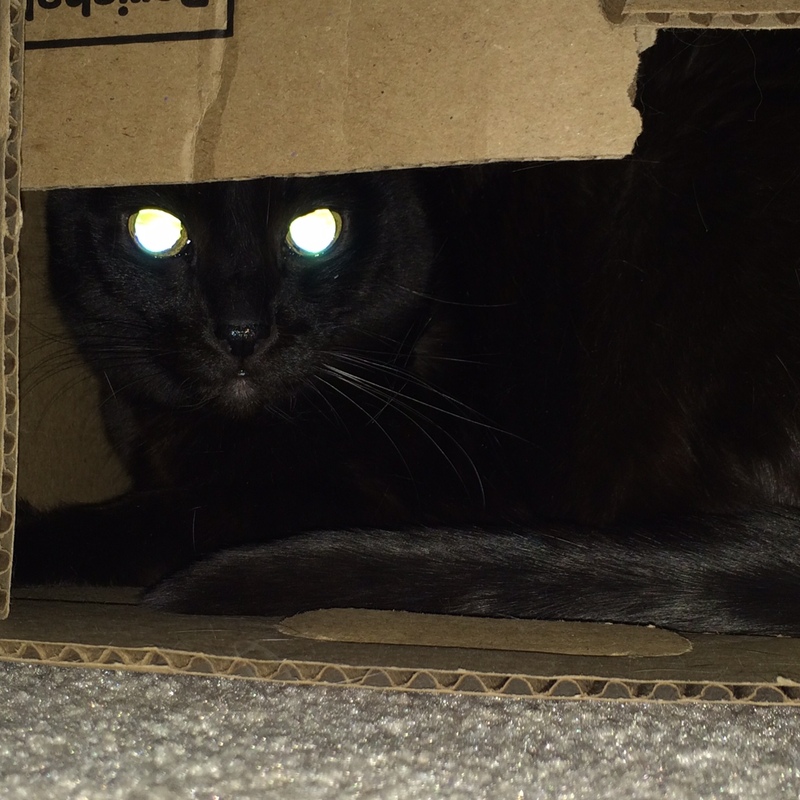 I love taking pictures of my cats in boxes. 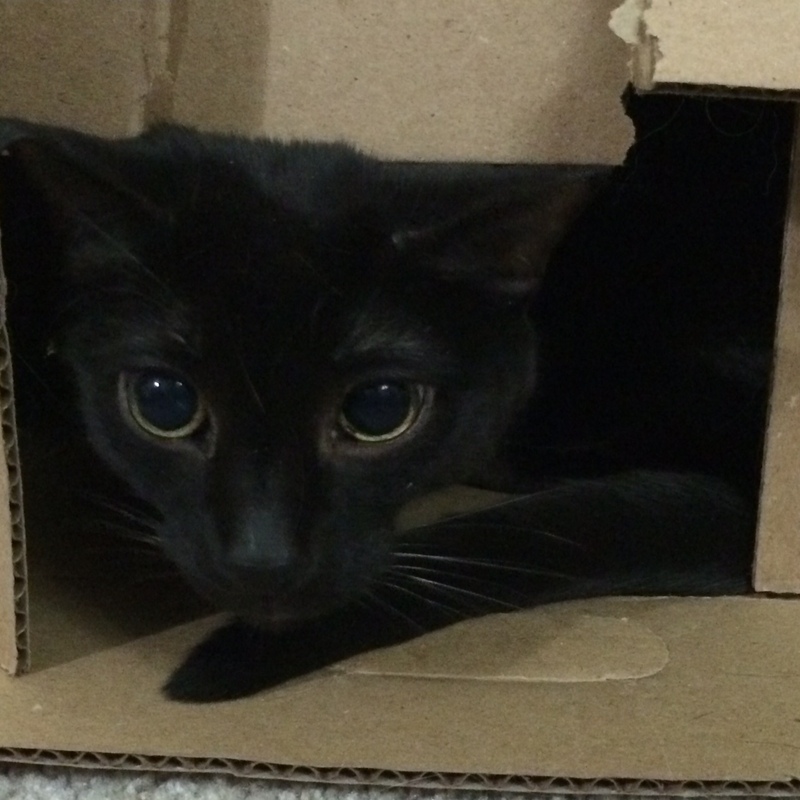 Gizmo, in the first picture below, especially loves boxes, I think because she feels safe in there. 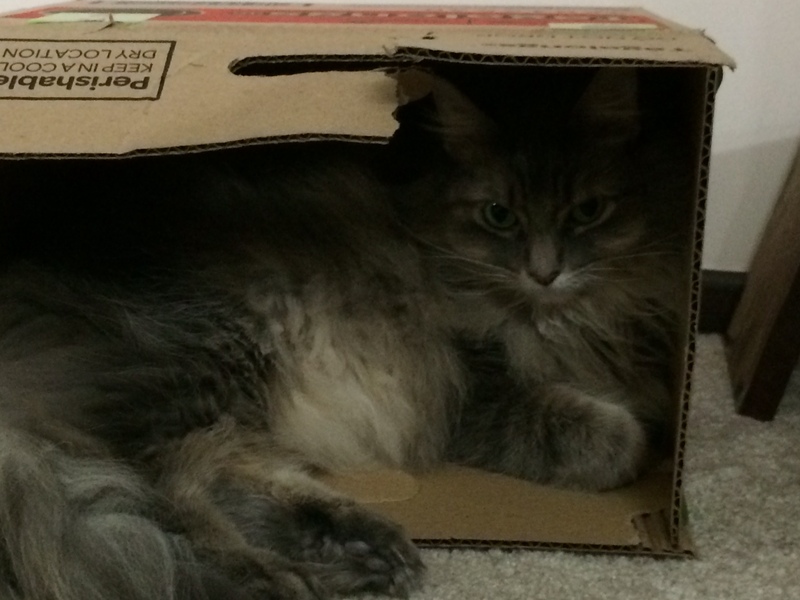 I’ve written about cats in boxes before; specifically, about why cats like boxes. 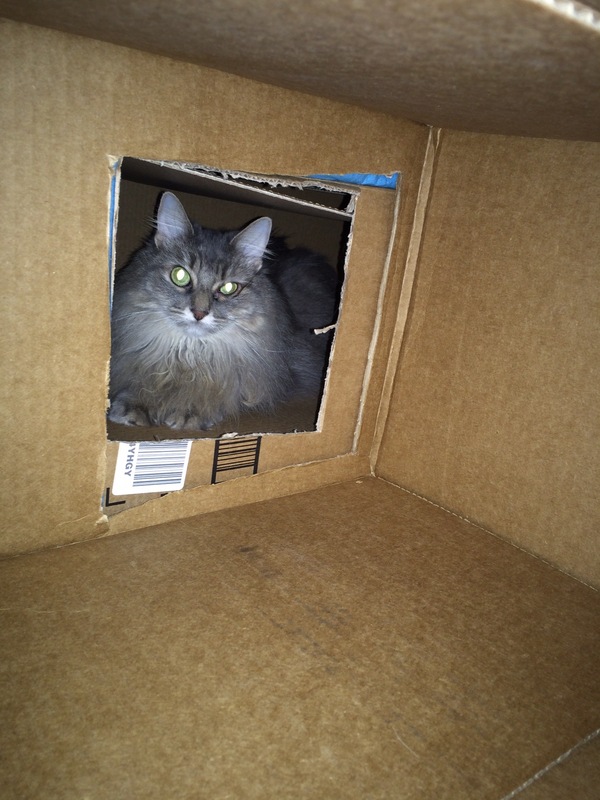 I didn’t put very many pictures in that story though, and since I just got some adorable pictures of Gizmo in a box, I thought I’d post them, along with some other great shots of my cats in boxes. In the photo above, Gizmo was seriously acting like she thought Chase would just go away if she pretended he wasn’t there. 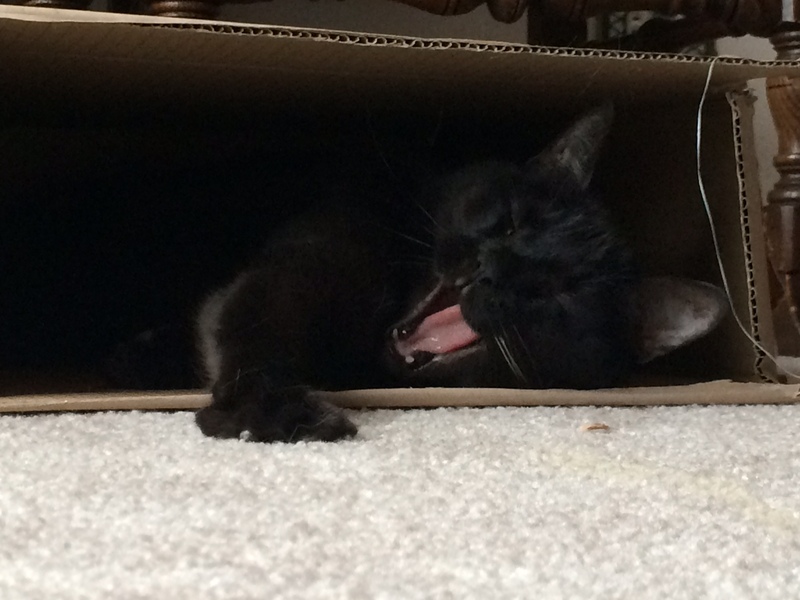 That was her box! 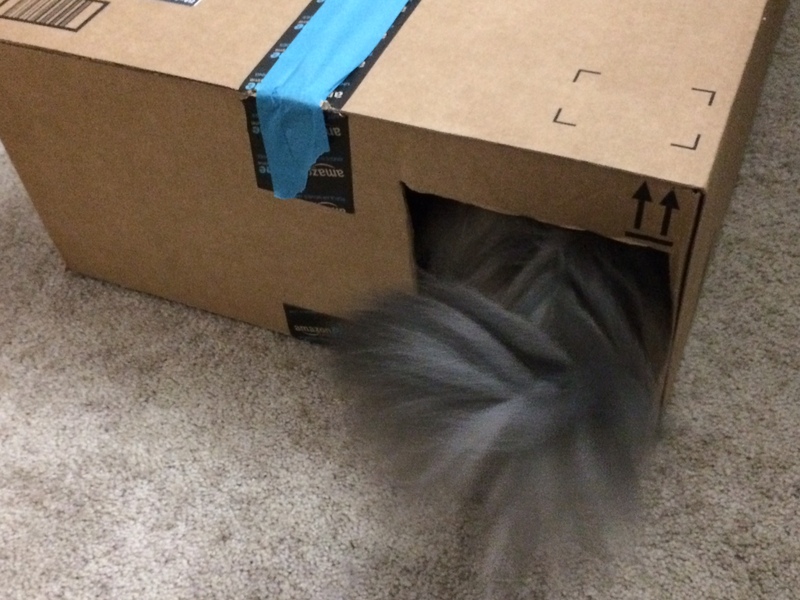 We had a whole bunch of empty boxes in the house at once not too long ago, and we cut “doorways” in them and taped them together to build a cat house. 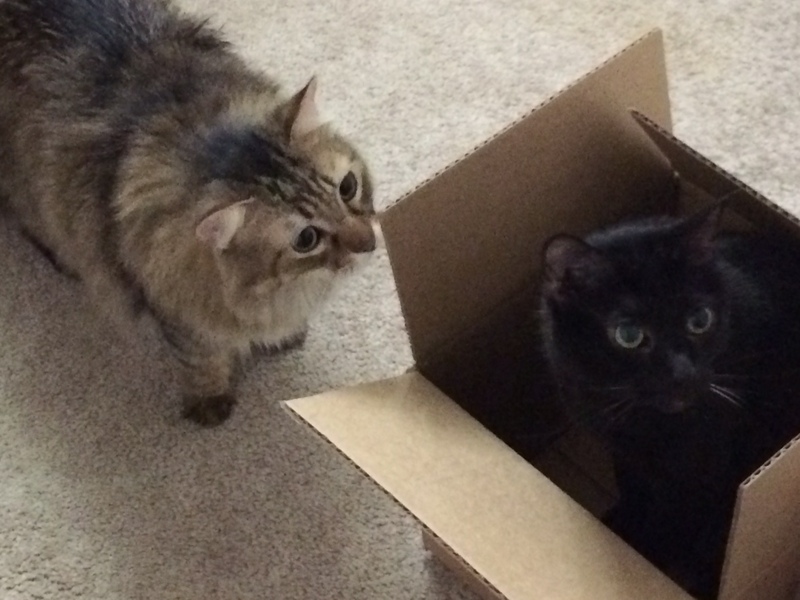 We figured the cats in boxes phenomenon was a good reason to do so. Kali liked the house, even though it was temporary. 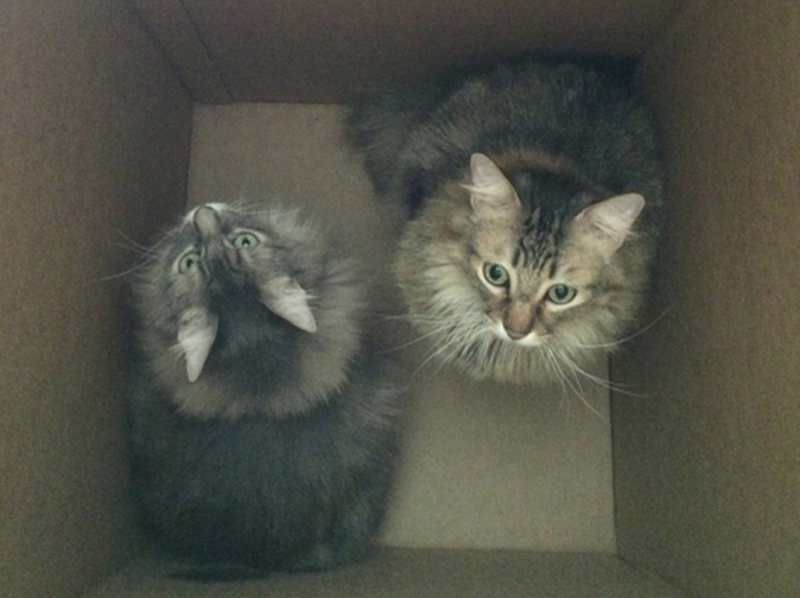 This is what happens when two of my cats wind up in the same box. They look around like they’re trying to figure out how to get out, but it ultimately results in an awful lot of bickering. The picture above is Chase and Kali, who once would have just curled up together, but now can’t stand to be near each other. 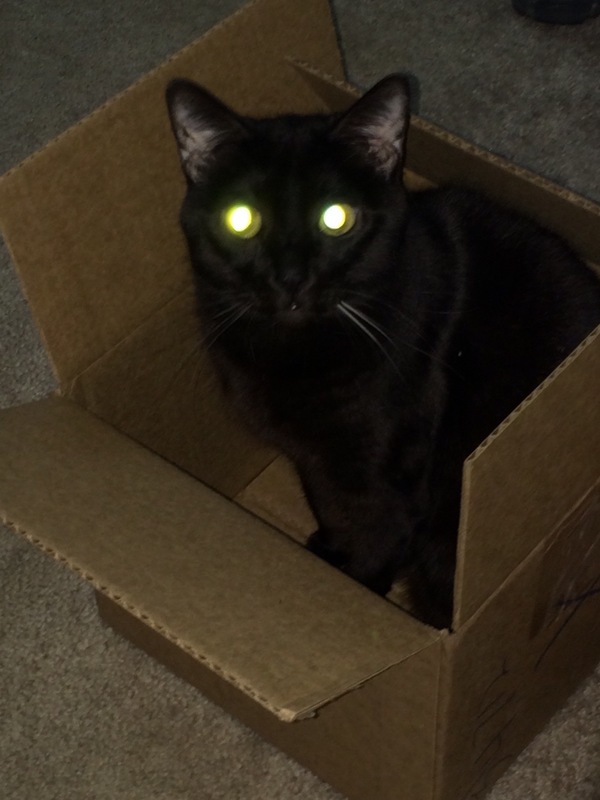 And, of course, no series of photos of cats in boxes is complete if it doesn’t end with either an insanely adorable picture, or one last photo showing the laser eyes. It was like Gizmo was saying, “Get. Lost. And take that camera with you, before I incinerate you!” She wasn’t actually upset when I took this picture, but she’s a great actress. 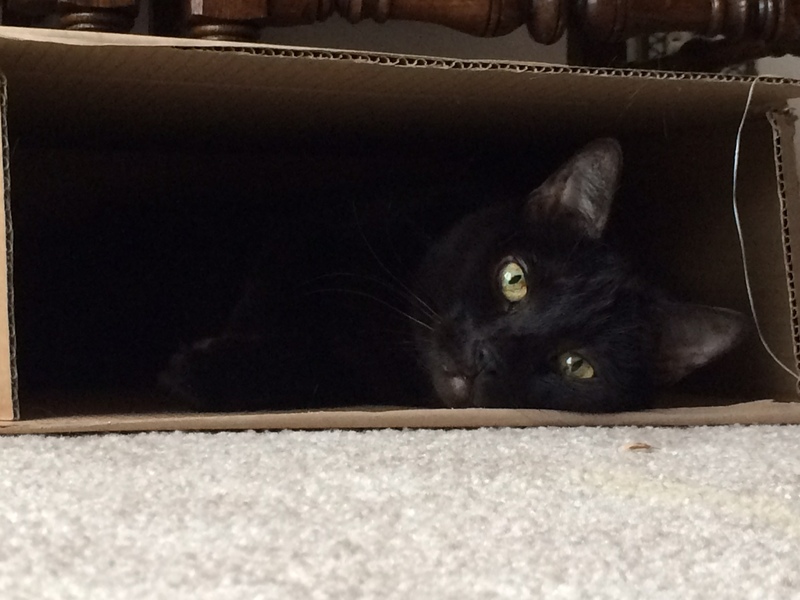 Do you often find your cats in boxes, especially when you’ve got lots of empty ones? If you don’t often leave them around, consider doing so, if it’s a good idea for your household. 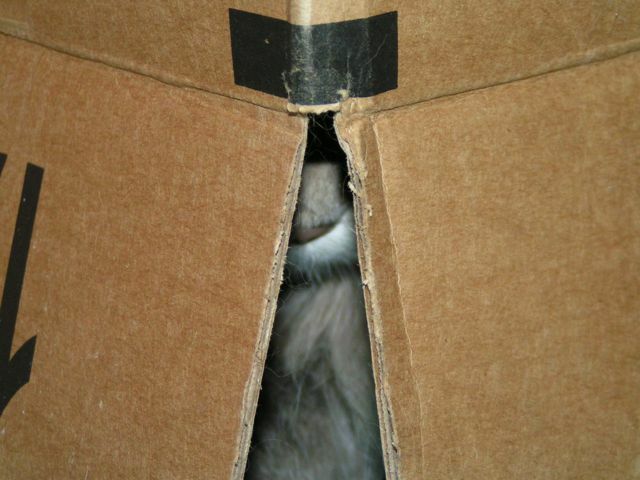 If nothing else, it’ll give your cat a new place to explore and hide for a little while.